Spring gales seem to have arrived late this year, prompting furrows on the brows of nervous sailors and excursion organisers. What we all need when judging whether or not to leave the shore is guidance on what those forecasts of '25-40 km/hr' actually mean. 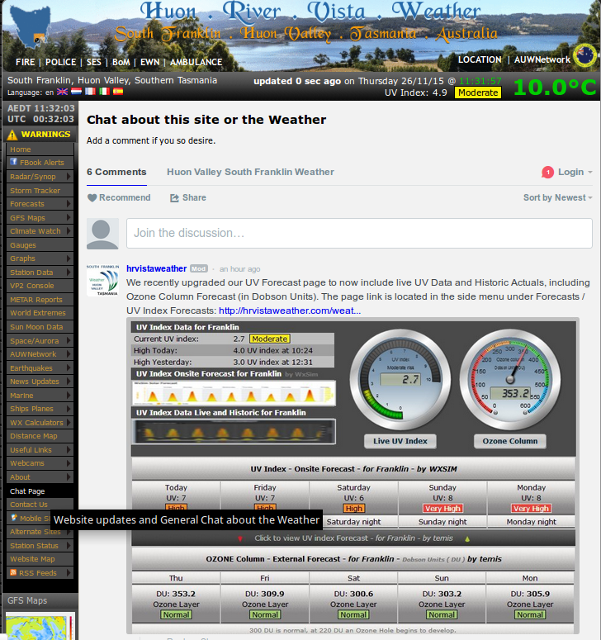 Enter the indefatigable Tony Dow of HR Vista Weather (hrvistaweather.com) who provides us not only with forecasts but also with RECORDS. If you were out and about and it seemed like a gale you can check Tony's graphs and calibrate your wet finger against the numbers that the forecasts deal in. 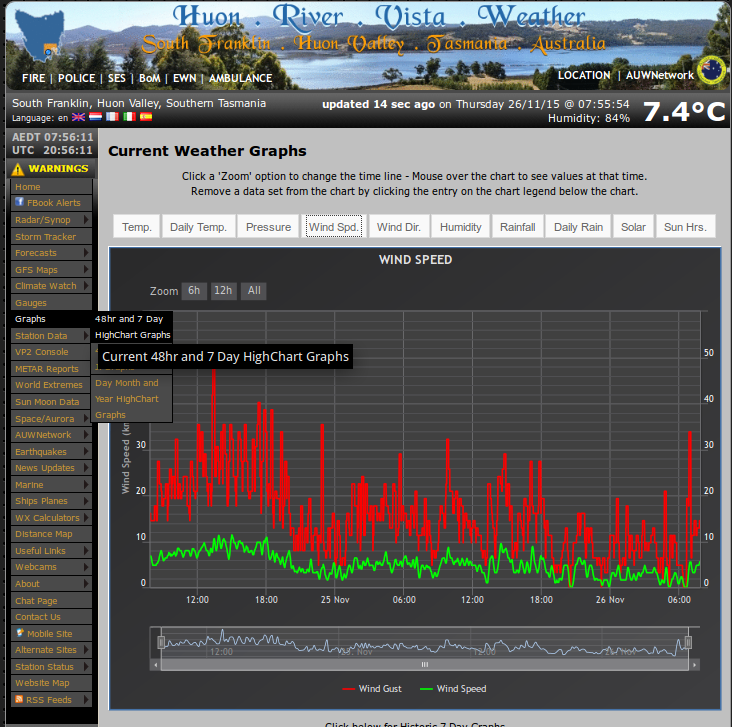 One way to do it: go to the LBT website, click on the weather summary at top right to take you to HRVistaWeather, then choose Graphs, a chart, then wind speed. See the screen grab below. Tony tells us that his wind records would be even better if he could get hold of a mast to lift his equipment up above local interference. Anyone have a spare one of those in the backyard, or able to point to a somebody else who does? Contact the secretary sec@lbt.org.au if you can help. Those of us who are gardeners have also appreciated (in this dry season) that Tony has sorted out his rain gauge. Did that pitter patter on the roof overnight mean anything good? Tony knows! 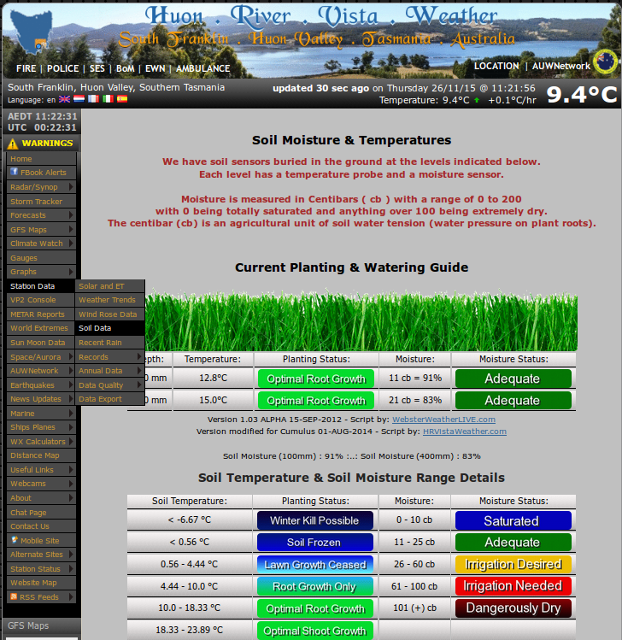 He also knows about our soil moisture: see http://hrvistaweather.com/weather/wxsoil.php or the screen grab below for menu navigation details.